Bring the indoors out and create a comfortable and relaxing area within your garden. 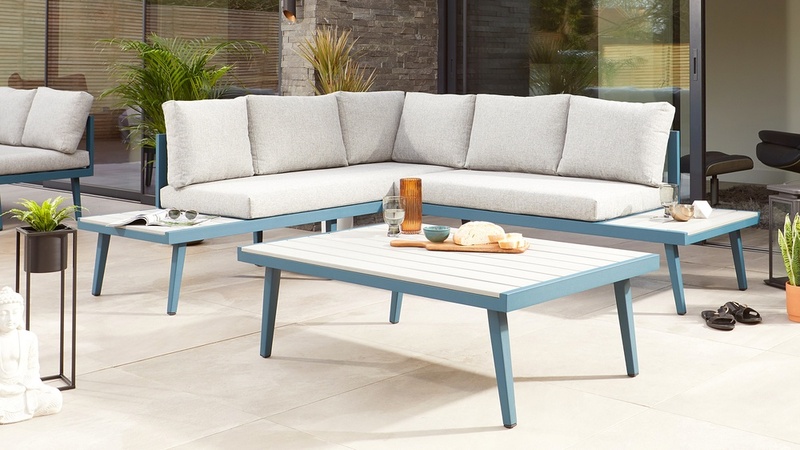 Style the Palermo Ocean Garden Coffee Table to create an informal seating space, where your cool long drinks, summertime nibbles and holiday reads can all be within arm’s reach. Having a coffee table within your setting really brings everything together. The frame of the Palermo coffee table is made from an aluminium tube. This keeps the coffee table light enough to move around the garden, yet remains incredibly strong and supportive. This means you can easily rearrange your coffee table to suit your seating arrangement and then store it away during the winter months. Aluminium doesn’t naturally rust, therefore it's weatherproof and the best material for your garden furniture. 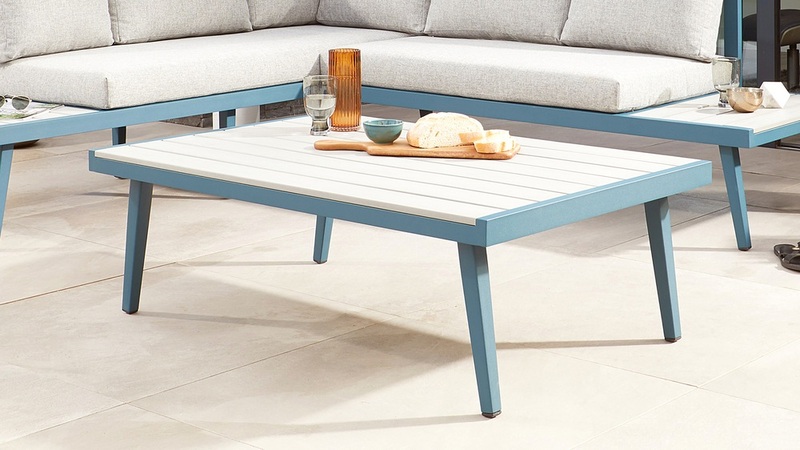 Low maintenance and easy to clean, the Palermo coffee table has been carefully engineered to make it fit for outdoor use. 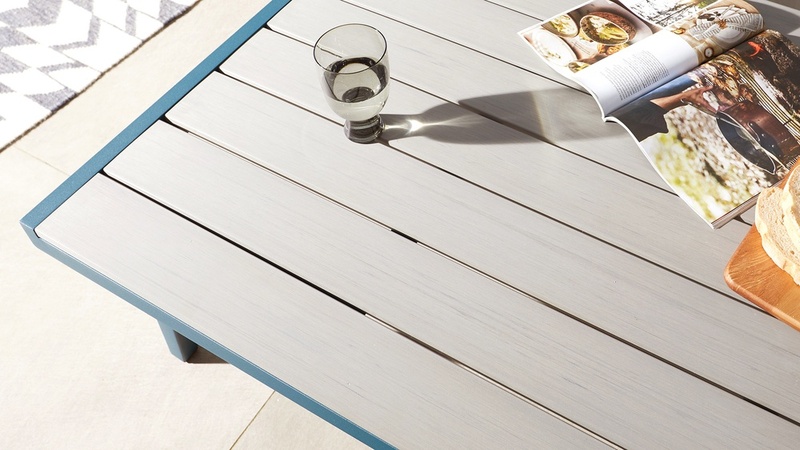 We've added an ocean colour powder coat to the aluminium frame to give this garden table its fresh and contemporary look. The ocean powder coat creates a modern and matt finish that will keep your garden looking fresh and on trend. It's also easy to clean and maintain too. The table top of the Palermo coffee table has the look of real wood but is actually made from polywood. The advantage of using a polywood surface is that it won't warp or discolour like real timber does. It's also very easy to clean, saving you both time and money! Nobody wants to spill their summer cocktail due to a wobbly table surface, so we’ve given the Palermo coffee table adjustable floor guides. This offers protection for your flooring alongside the option to adjust the feet to accommodate uneven ground, often the case on garden patios! 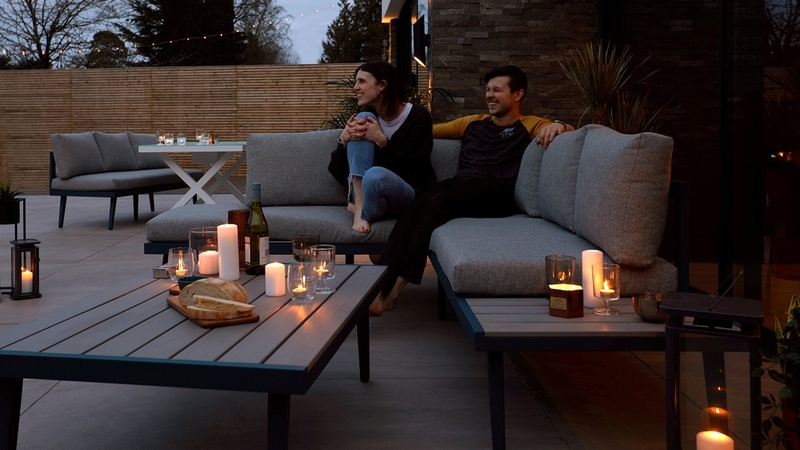 All of the materials used for this garden coffee table are Fire Retardant (FR), meaning the Palermo is incredibly safe to have around you and your family. 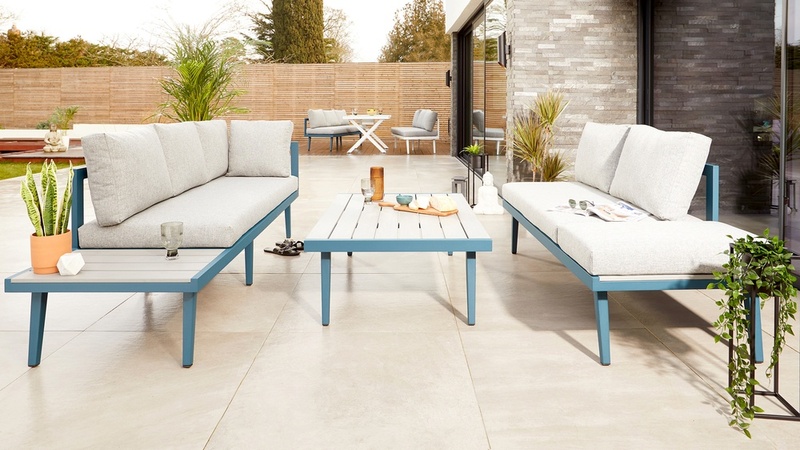 If you're looking to create the ultimate cosy outdoor seating area, we suggest pairing this coffee table with the Palermo Ocean Corner Bench which is available left or right hand facing, and extend your seating area further with the Palermo Ocean Bench with Backrest.